« Date / Format: Topic – …………………. 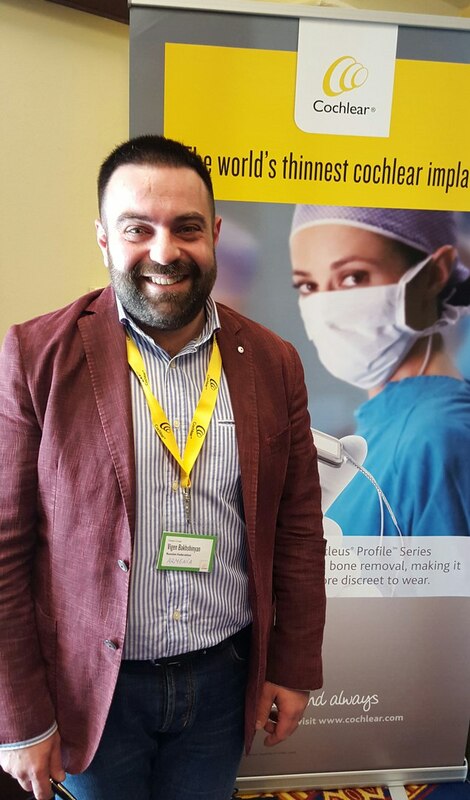 Experimental and clinical Audiology; Cochlear implantation; cochlear implants fitting and estimation of its efficiency; Otology, Otosurgery, Hearing electrophysiology – Acoustically and electrically evoked auditory potentials. More than 80 publications dealing with various aspects of experimental and clinical audiology and otorhinolaryngology including early detection, diagnosis and rehabilitation of hearing disorders, cochlear implantation. I am Gizem GÜNER, a second year student at Audiology Department, Health Science Faculty, Baskent University, Ankara Turkey. I am writing to you to seek for any chances for summer internship at your institution. My home university, Baskent University, has provided me with summer internship scholarship in the scope of Erasmus + Programme. This scholarship includes financial support for 2 or 3 months summer internship at a European institution related with my department. I am responsible for Visa application and finding a proper accommodation. I am highly motivated to do internship for 2 or 3 months at your institution this summer. I only speak English as a foreign language. My level is A2. I would like to enclose my English transcription but it is not possible this mail system. I believe that doing my summer internship at your institution will give me a great opportunity to gain valuable experience both in the field of audiology and European culture. If you have any further questions about my summer internship scholarship or my academic and language background, do not hesitate to contact with me or my Erasmus+ Programme Coordinator, Sema Acar. Here is her e=mail address: semaacar@baskent.edu.tr. I am Shivali Appaiah currently working as lecturer/clinical supervisor at Samvaad Institute of Speech and Hearing, Bangalore India. In my interest of perceiving research in the area of electrophysiology and speech perception, I would like to know of the different possibilities available for pursuing higher degree research under your guidance. If you could suggest me the topics with respect to the area your working currently, I would give my best effort in putting through my ideas. The research work carried out by me has been attached in my resume. I also have carried out a research work on narrative ability in children in the presence of noise and without noise in normal school going children, who fall under the borderline area on assessing the APD checklist and the difference observed with respect to the control population. This paper got selected for ASHA conference held in San Deigo, 2012, unfortunately I wasn’t able to present it due to certain physical difficulty. Hence I haven’t mentioned in my resume. I have attached the letter along with my resume. All the Research paper details will be sent to you on requirement. I am also attaching brief information about me and my other research work carried out. I would appreciate if you could give me a feedback on the different options available at the department or university. this is to confirm receipt of your comment! We attended a conference in Suzdal (250km from Moscow) last week and were very busy. I reminded Prof. George Tavartkiladze (director of the Russian Institute of Audiology and Hearing Rehabilitation and boss of Dr Vigen Bakhshinyan) and hope we will have a chance to talk about your proposal in the near future. I also copied Georgina Sanderson in the company Cochlear, who has a lot of experience in India. Please bear with us for a short while, as Prof. Tavartkiladze willattend a conference in Istanbul this week and Dr. Bakhshinyan will be on vacation in Los Angeles for the next 10 days.